For a team of young, innovative developers who are set to demonstrate that modular can be right for the city, addresses the need for moderate income, small units with a reduced financing period, short delivery time through offsite construction. The design is intentionally rigorous, taking advantage of the restrictions inherent to the construction methods, turning the limitations into opportunities. 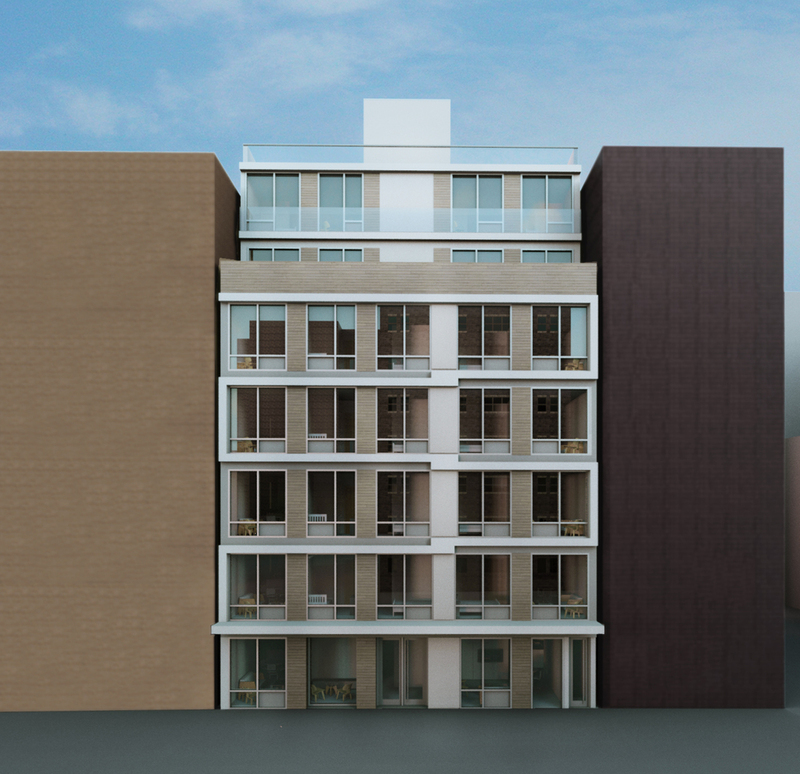 The design strategy is very simple: the facade expresses the stacking of the pieces, but also groups the modules to showcase the breadth of the individual residential units. 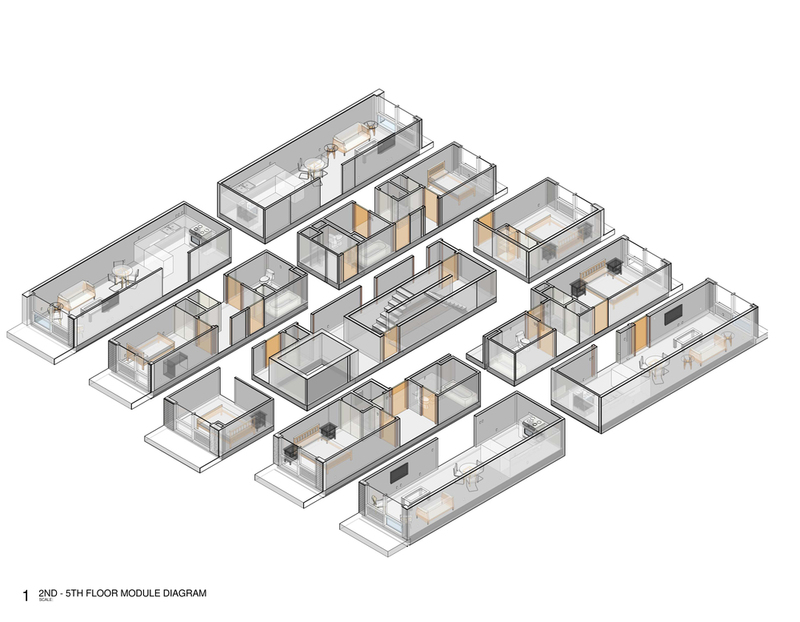 The result, far from a beehive collection of small modules, is a building composed of clearly identifiable and diverse housing units, that feel more like lofts than low-income housing. 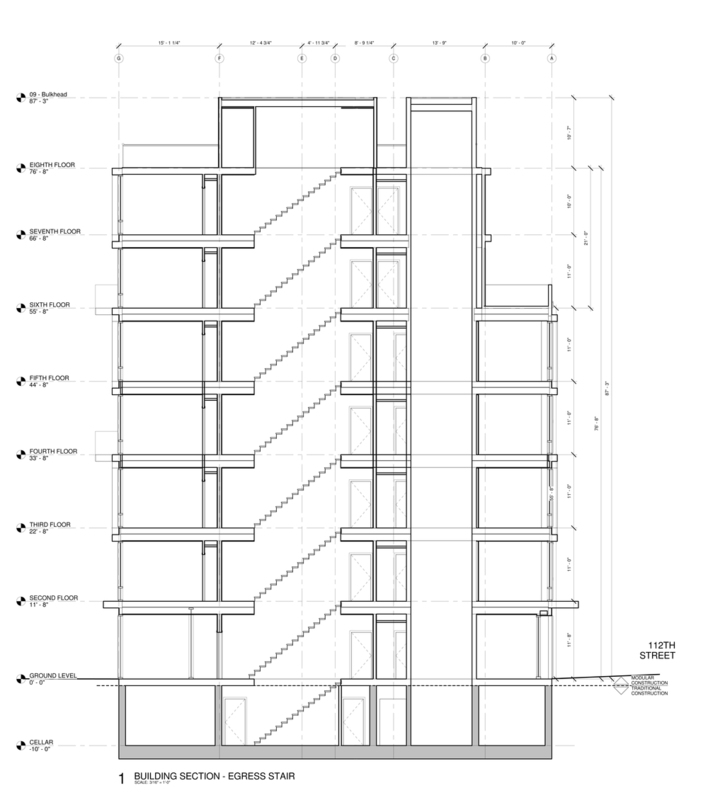 The frames that outline the units on the two facades, stem from a single pilaster that knit together the whole and identifies the lobby and rear park access. The material selection utilizes large unitized super-insulated glass windows, simple flashing metal colored bands and textured concrete panels. The recycled wood panel accents recall the classic fifties furniture, in some way reminding us that prefabricated construction is and should be built as precisely as modernist furniture. Like TRA’s past projects downtown, this project addresses the best utilization of infill sites, the small but significant interventions strategically contributing, like the stimulation points on a meridian channel network, to the revitalization of still emerging neighborhoods.